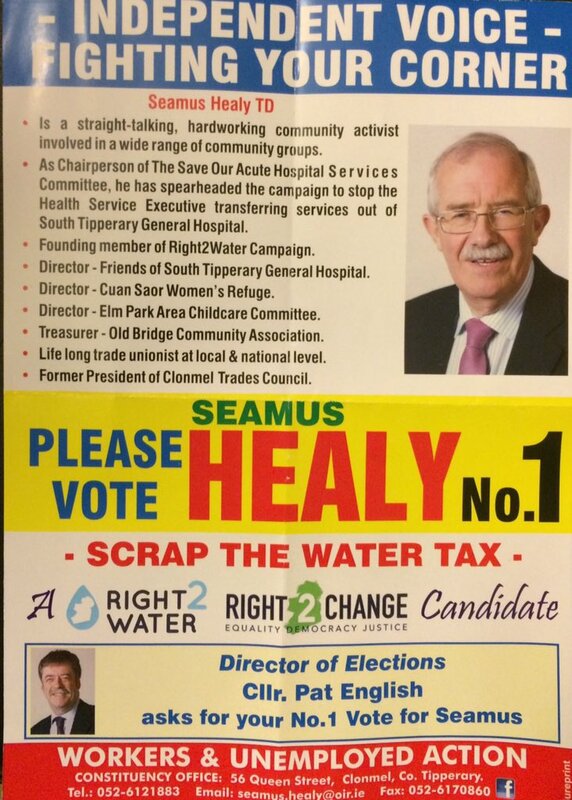 A leaflet from Clonmel based TD Seamus Healy who is running in Tipperary for The Workers and Unemployed Group. He is also running under the Right2Change platform. 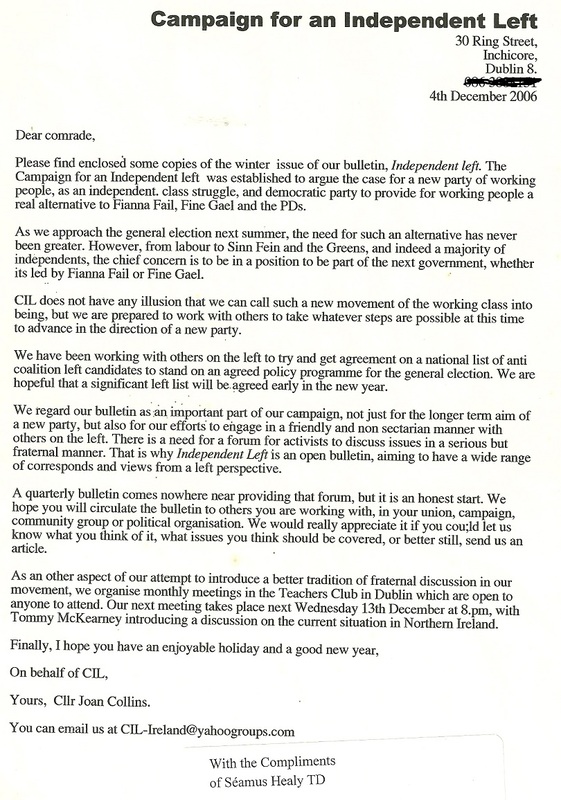 A 2006 letter from the Cllr Joan Collins of the ‘Campaign for an Independent Left’. The ‘Campaign for an Independent Left’ consisted at the time of Joan Collins and the group of activists around her, The Irish Socialist Network, some other Dublin and Kildare based activists as well as WUAG being affiliated. Various parties left until the group in Dublin South Central and Dublin Central joined The People Before Profit Alliance. Should anyone have a copy of the “Independent Left” Newsletter I’d love a copy. 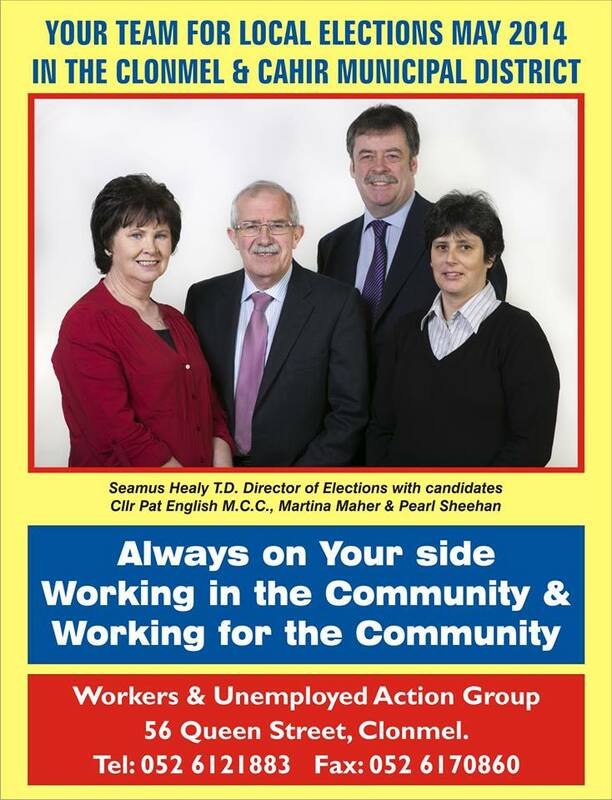 A leaflet from The Workers and Unemployed Action Group for their candidates Pat English, Pearl Sheehan and Martina Maher who are all running in Cahir Clonmel for seat on Tipperary County Council. From the Fiscal Treaty Referendum an”Enough is Enough. Vote No to Austerity” Leaflet from The Workers and Unemployed Action Group (WUAG). 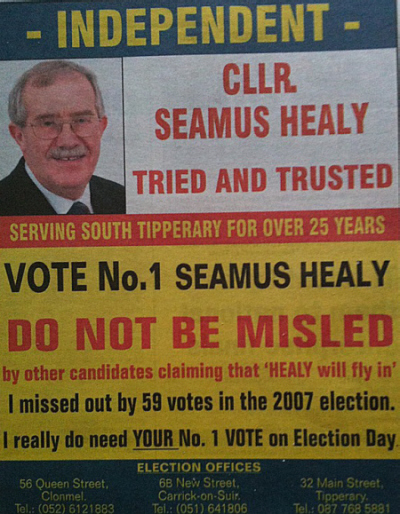 In reaction to the constituency poll published in last Mondays Irish Times which showed Seamus Healy winning a seat on the first count… the following ad was placed in the Local Paper. First off many thanks to the sender. 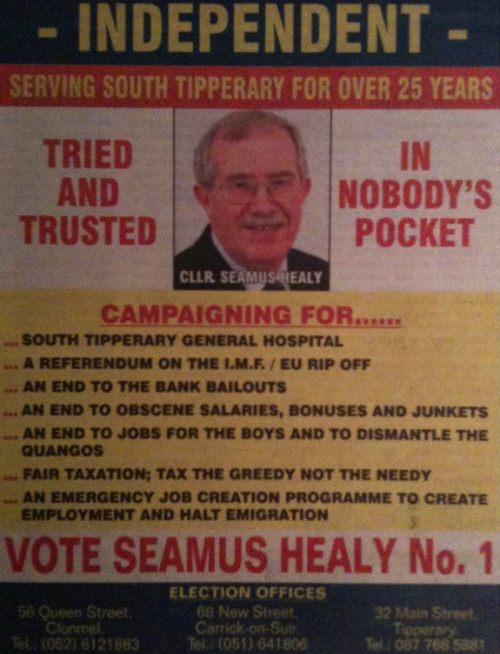 An ad for Seamus Healy of the Clonmel Workers and Unemployed Action Group (United Left Alliance) running in South Tipperary. 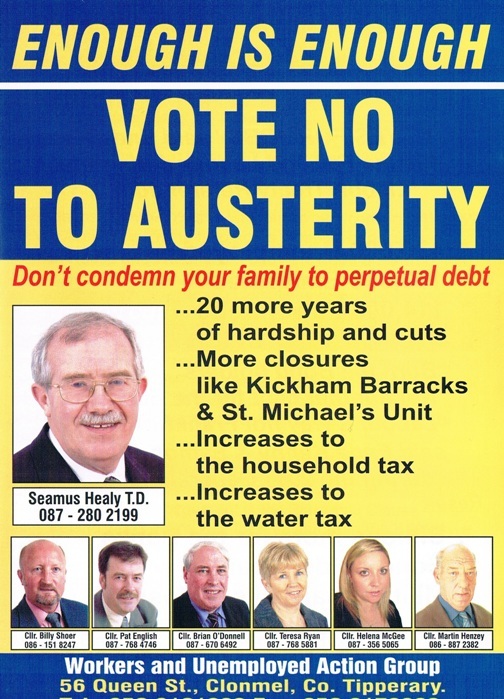 From the 2011 General Election an ad for Workers and Unemployed Movement (United Left Alliance) candidate Seamus Healy running in Tipperary South. Healy, who lost his seat in the 2007 election, is seen as having a great chance of regaining it this time around.